With JJ out of town, I hereby declare myself Train conductor-for-life. 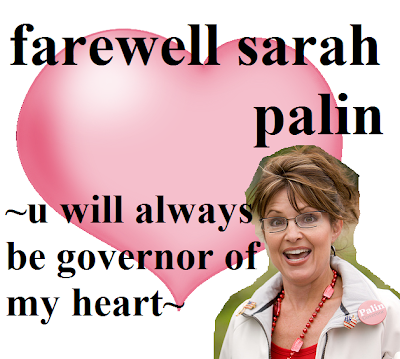 It's time to shake up the site a little bit by changing our focus- from now on we'll be the Sarah Palin Appreciation Station. During the election we were far too mean to poor Mrs. Palin, so now we can take some time to turn over a new leaf and show how sorry we are for spending several months calling her a gigantic moron. hey, kari is back! i take it you aren't excited about our new direction?